Male born in 1968 came to me in September 2004. He had been referred to a neurosurgeon because of his slipped disc. The pains got less and the mobility better, but he was still not able to stay out of his bed any longer. At his birthday party, in the first week of September, he stayed out of bed for too long with family and friends and he had a serious relapse. The neurologist advised him to go to the surgeon because it was taking too long for him to recover. The hernia did not diminish. The operation date was set for 4 weeks time. They then made a ‘real’ appointment with me. The anamnesis had to be taken in a room where he could lie flat because it was not possible for him to sit without pain. He is a sturdy man with a friendly soft looking face. He teaches problem kids. I know him as very patient, helpful and stable in difficult situations and very attached to his wife and daughter; a real family-man. With an MRI the diagnose HNP was set at L4L5. His complaints are mostly left sided. For the last 3 years he at times suffered a stiff back after a tennis competition. He has played football since he was six years old, later tennis and volleyball. He has always been a club-member. He enjoys team sports even cycling. He was always a ‘busy boy’. He is the 3rd of 4 brothers and looks back at a happy childhood. "I bloom in a social environment where I feel welcome. The family was a safe place. I felt insecure at school or in clubs, I was sometimes laughed at when I was dressed in hand-me-downs from my elder brother. I got the feeling that I was an outsider then and thought, I’ll show you who I am. I sometimes felt insecure in relationships, if they would last. I am quite trusting and have been disappointed in the past. My ambition is for stability and to be valued as a human being and in a family. To develop myself in connection with and with care for my family and friends. My family is my priority and I search for a balance between that and an extensive social life." His choice of profession was ‘out of laziness’ because he could do his studies close to home in a familiar area. Now he feels at home in his job situation. In the past he felt a conflict between his work and family problems for quite some time. In holiday time he prefers to be near family and friends. “An extension of home is OK”. "I like to have direction in my life, I want to know what to expect and I want to please the group. I am a ‘binder’, I keep them together." His father died at home a short time ago after being ill for many months. “It touched me deeply to have to see him deteriorating and not be able to help him. I worried about mum, what would happen to her?’ But as a family we have been able to go through the farewell together. My job is in a dynamic organization and I am part of the management. The director has authority, but when he is away the dynamic changes and I have to be keen to demonstrate that I am part of the group and show my capabilities. This I do not do sufficiently, I avoid confrontation with them because I am anxious that we might lose our solidarity and fall apart. I can see that this solidarity is fake. Food? Likes everything. He enjoys cooking and eating and drinking with guests. He likes to go out to the pub with friends. “I am seldom hostile toward others. I tend to rationalize my emotions and subordinate my wishes to others. It is pointless to force things and I tend to accept a lot. The pain extends from the left leg to the ankle and under the foot. The pain comes in unpredictable cramps. Before taking the Guaiac I could not lie on my left side or turn in bed. That is better now. What was remarkable to me in his story was the fact that from his early childhood onward the sensitivity to be connected and the fear of separation were very prominent, which made me think of the MALVALES in Sankaran's Insite Into Plants. His fear of losing stability and the tendency to take major responsibility for family and friends convinced me that I would have to look for a tree. 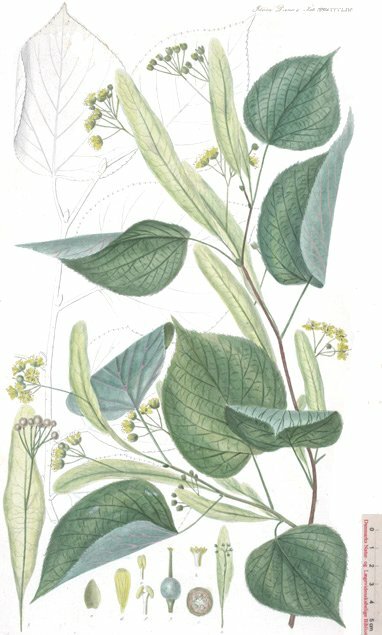 I found Tilia Europea in the sycotic miasm/ stage 10 for Jan Scholten. From Allen we know the theme: lovesick, thoughts centered on the ideal woman, fear of society, craving for attention. 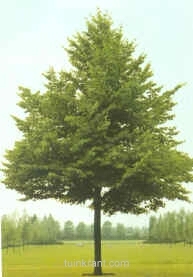 Frans Vermeulen writes that when founding a settlement, people very often planted a Tilia Europea as the midpoint. It was the patron tree of the village. Loving couples would sit under it. Villagers enjoyed its shade while drinking, joking and making music, the very situation where my patient would feel himself at home. He took the Tilia eur. dissolved in water if he felt the need. A few sips a day to start with, then only from time to time. Within a few days he felt a lot more stable. There was a quick amelioration without the relapses he had suffered before. The physiotherapist was very surprised at his progress within 5 days. The operation was canceled and after about a month he was able to work full-time again. As I write the article it is April ’05, he is still going strong and he is more able to set his boundaries and stand up for his opinions without the anxiety of losing connection. Now.. in '07 ... Everything fine.